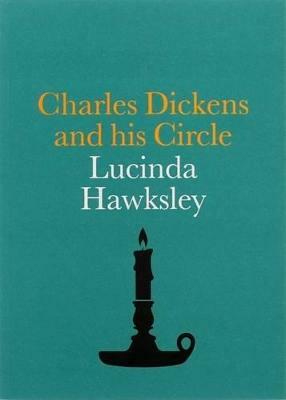 "When I was at primary school, my teacher asked if any of us had heard of Charles Dickens. I was amazed she knew his name, because, until that moment, I had only known him as one of my ancestors." (Lucinda Hawksley). Those who had known Charles Dickens as a child must have been astonished at his rise from being, in his own words, 'a little labouring hind' to becoming one of the most famous and adored men in the world. Dickens is often described as the first 'modern' author, by which it is meant that he went on book tours and engaged with his public in a manner more considered a twentieth - century phenomenon. Through sheer force of will he propelled himself out of a rather depressing existence into the circle of intelligent, radical, questioning friends who feature in this book. Guests at his parties could expect to meet actors, artists, radical politicians, prison reformers, philanthropists and musicians, as well as writers. Dickens's closest literary friends included Wilkie Collins, Elizabeth Gaskell, William Makepeace Thackeray and Alfred, Lord Tennyson. He also admired and surrounded himself with artists, including two of his oldest friends, Daniel Maclise and Augustus Egg, the celebrity painters Clarkson Frederick Stanfield, William Powell Frith and John Everett Millais, and many of his illustrators: Hablot Knight Browne (aka Phiz), George Cruikshank, and the father and son Frank and Marcus Stone. He worked tirelessly with fellow social reformers including Angela Burdett - Coutts, Thomas Noon Talfourd and Elizabeth Jesser Reid. Beautifully illustrated with images from the Collection of the National Portrait Gallery, this book explores the man behind the novels and the lives of those around him.